An easy ws to reinforce Present Continuous & Present Simple.Sts have to choose what they consider habitual actions. B&w ws is given!! 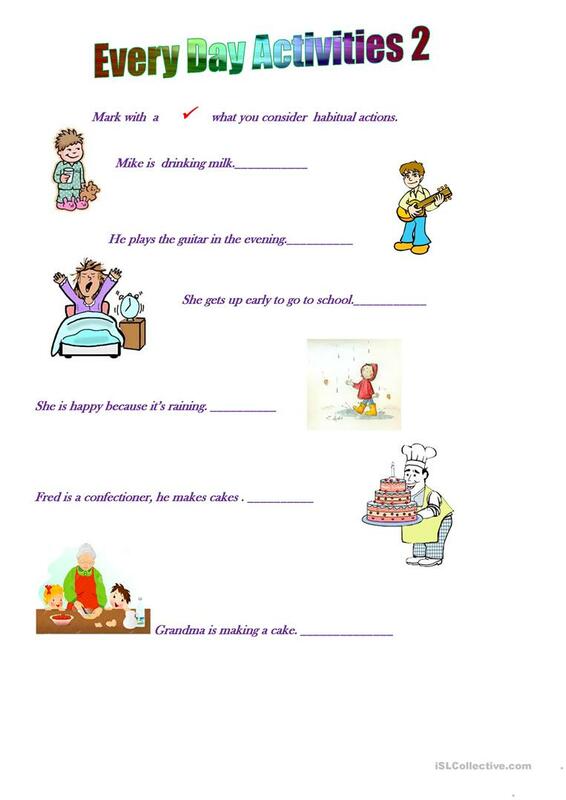 This downloadable handout is recommended for elementary school students and students with special educational needs, learning difficulties, e.g. dyslexia at Beginner (pre-A1) and Elementary (A1) level. 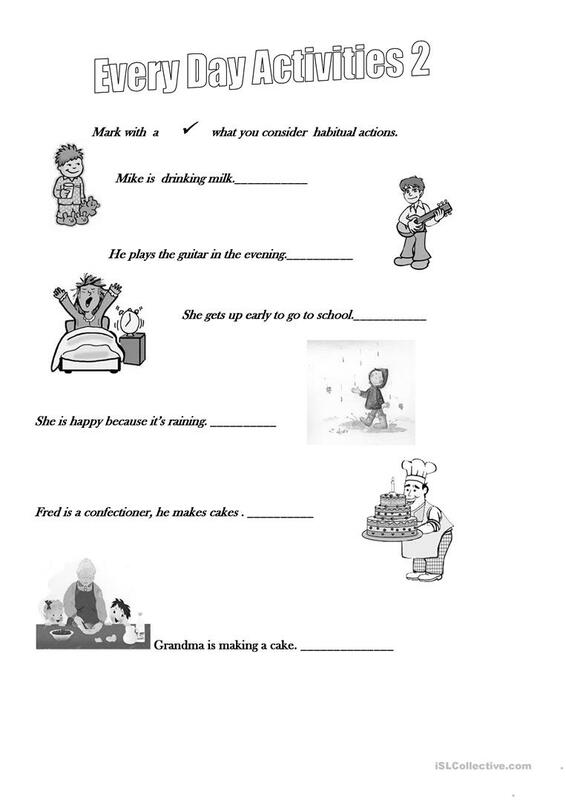 It is aimed at practising Present simple vs continuous (progressive) tense in English, and can be used for strengthening your students' Reading and Writing skills. It is about the vocabulary topic of Actions.